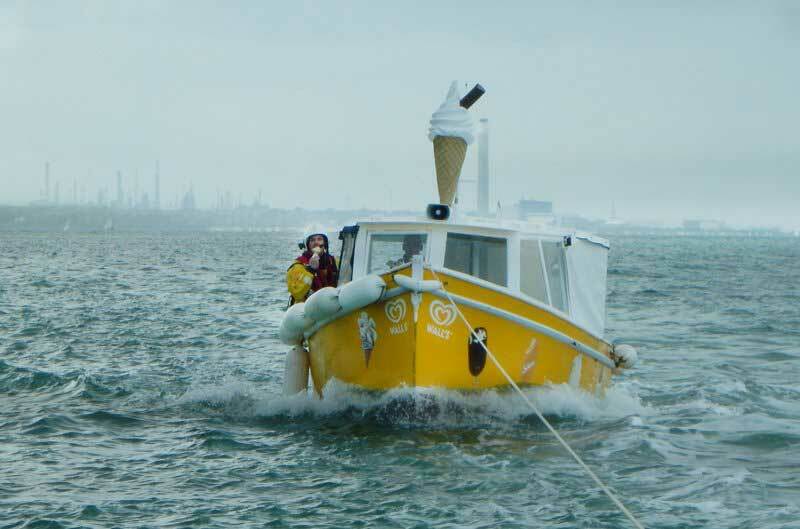 Cowes RNLI on the Isle of Wight were tasked to assist a floating ice cream boat on a stormy Solent on Saturday afternoon. 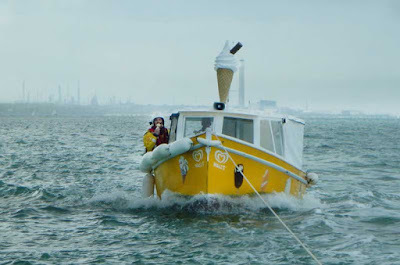 The so-called 26ft Solent Ice Cream Boat, with 2 people on board, had told Solent Coastguard via mobile phone that it had engine trouble in the area of Osborne Bay near East Cowes. 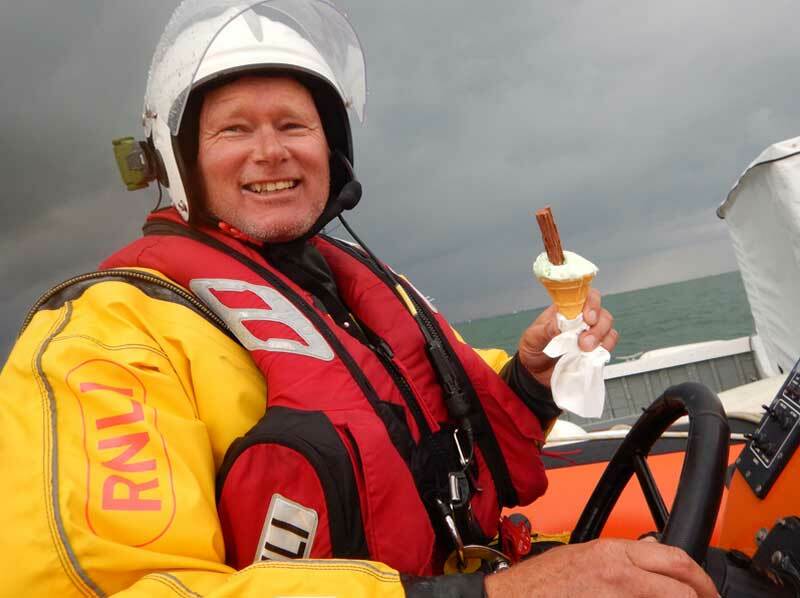 The volunteer crew of Cowes lifeboat arrived on the scene just after 4:00pm and towed the craft to its mooring well up Wootton Creek, but not before the lifeboat crew were each treated to ice cream cornets for their efforts. Lifeboat helm Neil Archer said: “It was an unusual way of saying thank you, but much appreciated in the humid conditions nonetheless”. The lifeboat returned to station at 5:35pm. Ice cream cornets are ice cream cones in American speak? Although often they're called cones over here, too.